My children all go to bed at seven o’clock every night. Lots of my friends marvel at this and some are a little disapproving – surely my eight-year-old should be allowed to stay up a bit later?! Obviously there is the occasional late night but most times they are in bed at seven and reading – as long as they want. I don’t care if the kids have the light on for two hours – if they are reading, what harm can be done? A lot has been written about the importance of reading with children, how to get kids interested in books and recommended titles for all ages. Despite all of this information promoting reading, I recently came across an article published by The New York Times which was somewhat alarming. 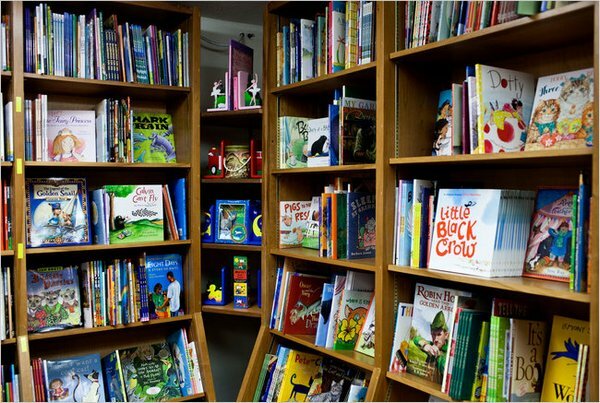 Times’ journalist Julie Bosman reports that children’s picture books have been decreasing in popularity for some time, to the point where many books are returned to the publishers unsold and so publishers are producing fewer titles each year. There are a number of reasons for this trend including the global financial crisis and an increase in electronic media. Most interestingly, book sellers see an growing number of parents bypassing picture books for ‘more educationally challenging’, text-heavy chapter books. Literacy experts are quick to point out the importance of picture books – they develop a child’s critical thinking skills, forcing kids to use their imagination to fill in missing themes; the vocabulary and concepts can be more sophisticated in picture books simply because illustrations help communicate the story; and although they may have less text than chapter books, picture books can still be more complex. You only have to look at a book such as The Red Book, which has no words, to demonstrate complexity in picture books. So, if my eight-year-old is up late reading Dr Seuss, so much the better – at least he is reading.